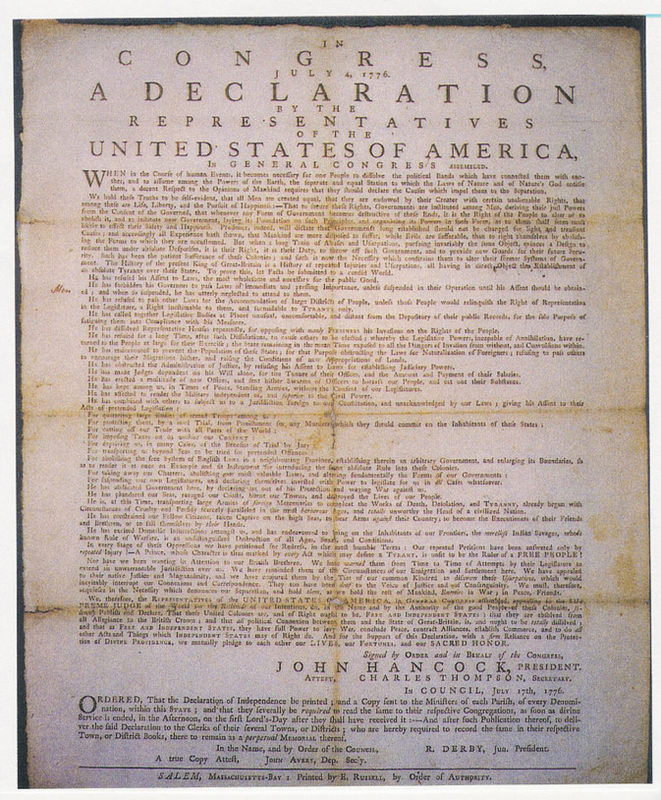 This "no taxation" document is of paramount importance because John Hancock was the only signer who also endorsed the Declaration of Independence in July of 1776. In addition, Hancock was the president of the Continental Congress and is recognized as a key, galvanizing force behind the colonial push for independence. The issue of taxation without representation was first raised by James Otis in 1764, but the only documents of similar content are a few printed pamphlets from 1765 through 1768. None are signed. This printed, one-sided document is signed and very rare. This text is highly complex. 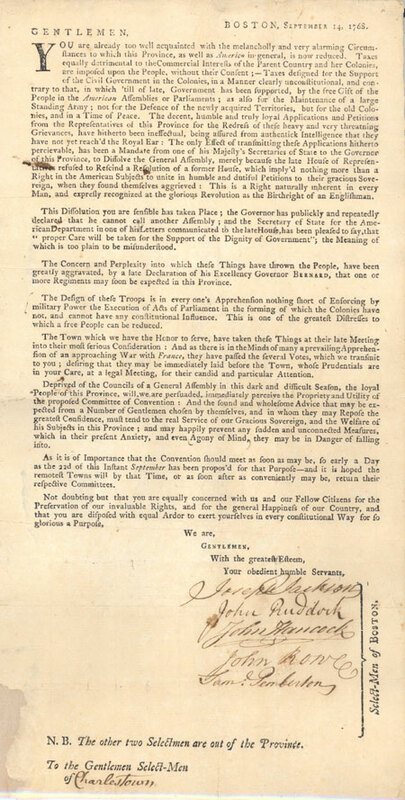 In just one page, this document represents all the issues leading to independence. Even the inconsistencies of the patriots appear within this letter. This pointed response to arbitrary acts of British Parliament, which included not only the Stamp Act, but also the even harsher fiats levied upon the colonies after its repeal, directly contributed to greater cooperation among the colonies in their efforts to rebuff English tyranny. This document marks a seminal moment in the history of the United States. In short, this is a most important precursor to the Declaration of Independence.